Is your operation ready for a lithium battery device recall? Chris Harvey is Director of Recall Solutions at Stericycle Expert Solutions. This post is based on the white paper Taking Charge: Effective Management of Lithium-ion Battery Recalls. With complex and rapidly shifting regulatory requirements, lithium-ion batteries and devices present one of the greatest challenges of all product recalls. As a manufacturer in this environment, it is crucial to prepare in advance. Regulators, the media and the public expect you to move quickly when it comes to defects that could cause major property damage and inflict serious injuries. My organization helps manufacturers handle recalls every day. Here are a few of the guidelines we’ve developed to make recalls of lithium battery devices less challenging. Regular readers of the Labelmaster blog probably don’t need to be reminded, but the regulations governing lithium battery reverse logistics—which dictate how your recall is carried out—are complex and subject to frequent updates. Special provisions and exceptions are common. For example: In late 2016, PHMSA submitted a proposal (HM-215N) to more closely align its hazmat transport rules with international regulations, which included a new label for lithium battery shipments. In January 2017, it withdrew the final rule in response to the new administration’s regulatory freeze. After a period of allowing carriers to operate under either the previous rules or the new guidance, it finally published the final rule in March 2017. Don’t let this complexity stop you from developing an advance recall plan. Your recall won’t wait for the rules to become simple. Enlist outside help if you have to, but make sure you have a plan that complies with current regulations. Depending on the device, lithium batteries may be standalone, packed alongside the equipment they power or installed in the equipment itself. This status impacts the regulations for compliant shipping, but also the practicality of handling the recalled devices. The days of “take out the battery, wait a minute, and replace it” are fading fast. Increasingly, products with built-in batteries are designed to make it impossible for consumers to remove the batteries. These designs allow for a slimmer appearance and water-resistant design while protecting the batteries from dust, humidity and other elements. But built-in batteries make recalls more complex and costly. If a recalled battery is separate from the unit or can be removed, in some cases you can simply ship a replacement directly to consumers—without specialized packaging—and instruct them to dispose of the faulty battery locally. You can also separate removable batteries during destruction, reducing the costs associated with hazardous waste disposal. Those options aren’t as viable with most built-in battery device designs. Make sure you evaluate your options when creating your recall plan. 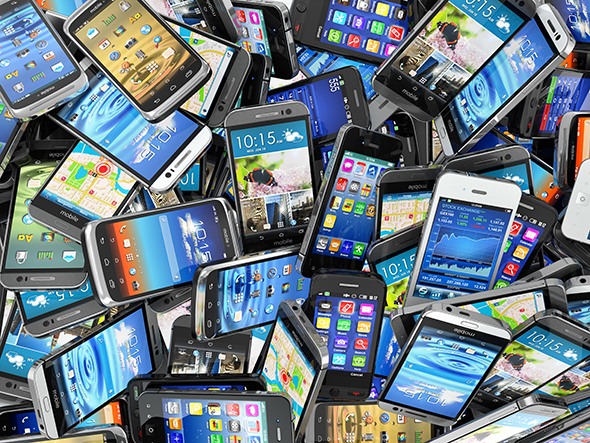 Finally, don’t overlook the impact on retailers who sell your devices. They should be a vital piece of your response, so don’t let them be seen by their shoppers as uninformed. They’ll also need information on how to obtain refunds, repairs or replacements, what to do with the affected product in their possession, and who to contact with concerns. The challenges of a lithium battery device recall are immense and, in most cases, they can’t be undertaken alone. Have a robust recall plan in place to meet these challenges head-on, and you stand a better chance of emerging with your brand reputation intact. Stericycle Expert Solutions guides companies through the recall, retrieval, return and audit processes with a comprehensive suite of highly focused services for global and local expertise before, during and after a recall threat.